The technology industry is buzzing about the latest developments and opportunities in wireless charging, and a universal charging standard is undoubtedly one of the hot topics. Energizer, a leader in innovative portable power technology, continues to demonstrate a commitment to a universal wireless standard with an expanding suite of Qi-enabled products (pronounced chee). This new universal charging standard, developed by the Wireless Power Consortium (WPC), will give consumers the freedom to charge any Qi device 5 Watts or less on any Qi charging pad – regardless of manufacturer. 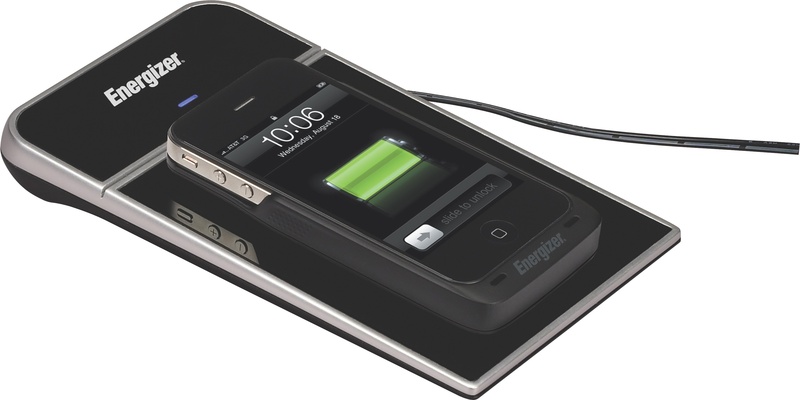 Following the launch of the first suite of Qi-enabled products in fall 2010, which included the two-zone Energizer®Inductive Charger – an International CES Innovations 2011 Design and Engineering Awards Honoree – the company will be showing a new single-zone inductive charger, the recently introduced iPhone®4 sleeve, and the new Energizer® Micro/Mini USB Adapter. This slim, compact Qi adapter conveniently adheres to the back of any phone, making it instantly Qi compatible. While these adaptors and sleeves make almost any phone Qi-ready, it is widely anticipated that smartphone enthusiasts will soon benefit from a larger selection of Qi-enabled products, as additional WPC members – such as Verizon Wireless, HTC, Nokia, Motorola, Fulton Innovation, LG and others – introduce their Qi devices. Consumers will be able to identify the Qi symbol on products and packaging, indicating that their device and charger are interoperable.